What is in your nature? Balance. Peace. Walk nicely. Breathe kindly. Share life respectfully. Know when to open doors, when to close, when to say yes, and when to say no. New information causes new choices to be made.Thank you. and that shall be to my creator. “If you’re going to step UP to the plate? Tesla ~ Emoto ~ Cymatics ~ Brilliant! “Sound is merely a component of the greater scheme of knowing. Pay attention to your own direction. bears in itself its own solution. “If you can’t see it? Hold your breath … and know yourself. Connect. Inhale. Exhale. Breathe Deep. It is here you will hear the song of the birds singing. It is here you will sense the wind without thinking. It is here you will touch the invisible speaking. It is here you will know the sound of the trees. It is here you will, without words, live life as it was meant to be. Mother Whale and Mother Dolphin with babies. Whether this is digitally created or real, does not matter. The message is very heartfelt. Images: Unknown unless otherwise stated with gratitude. 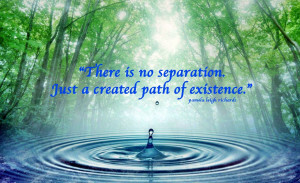 Image: Water droplet with pamela quote about existence written in 2010. Image: Pamela at five years living in England with balloon. I am now at home (February 4th) after being discharged from hospital. On a warm and sunny Sunday afternoon, January 24th, 2010 …. I fell fourteen (14) feet from the edge of a loft in the car garage, slipping off the top rung of the ladder straight onto the concrete floor below fracturing my skull, subcutaneous hematoma, head trauma with left epidural hematoma, cerebral contusions, hairline fracture of spine, fractured left wrist with 9 rib fractures and bruising all over my left side. At some point after falling I somehow walked myself to the guesthouse I rented, with no memory of doing this either and can only assume I walked, and layed down on my bed. Maybe heaven bent and held my hand so I would not lose everything? I have come to find out I walked in a lucid state. The next awareness or remembering I have was opening my eyes slightly, and in a blurry state of vision saw blood all over my white comforter. I went out completely after that. There was noone on the property or living in the main house at this time, so I was alone. What happened truly was a miracle. The landlords were in town (Sedona) and were across the valley at one of their other properties when the Mrs. had something intuitively and strongly telling her to “go back to the property!”, “go back to the property!”. So, she drove back to this property, walked to the guesthouse and heard moaning. She entered and found me lying on my bed. If she had not come I surely would not be writing this. She told me she tried to get me in the car but would not go as I threw up, then had to lay down. There was blood all over the place and now vomit. The Mrs. did not know what to do, so she called her husband on the cell phone. The next thing I remember briefly is a voice shouting, “She’s going to die! Call 911!”, before losing consciousness again. I found out later that what I was hearing was her husband over the cells speaker. He just happened to be a former ER Doctor and soon made his way over. The Sedona Fire Department responded to the emergency call. The Mrs said I had five paramedics working on me. I was completely in a long gone state remembering none of this. Having no clue what happened. One of the paramedics began sleuthing it out and walked to the garage to discover blood on the floor under the loft next to the ladder and realized I must have fallen. I kept moaning and pulling my left wrist, so they cut the long sleeves off exposing the break. Shortly thereafter I was carried by stretcher to the ambulance, which, took me to the Sedona Medical Center where the extent of my injuries were discovered, as was the seriousness of the situation. I was immediately flown by helicopter North to Flagstaff Medical Center for emergency brain surgery. 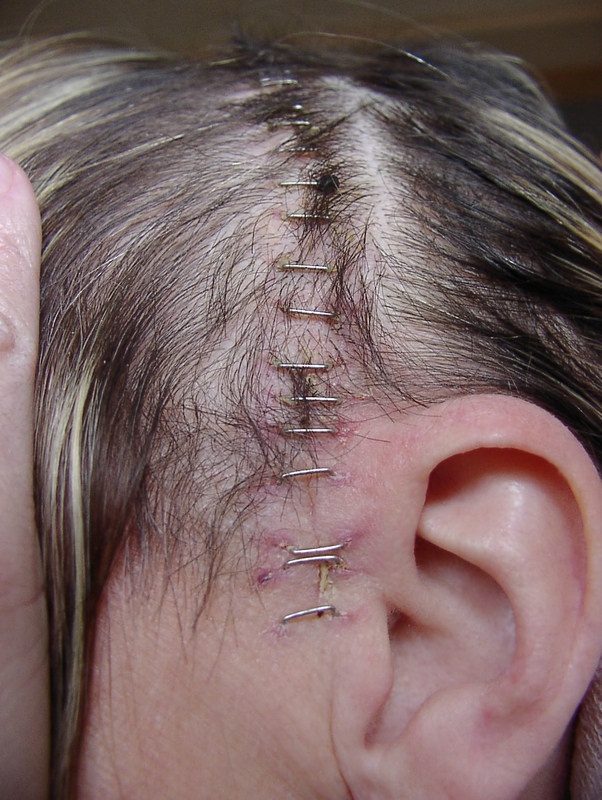 They made the incision from the top of my head straight down to just below the top part of my left ear. A circle of my skull was cut out and removed around the fracture line so they could drain the blood from my brain. They then placed this circular piece of skull back in and secured it with four (4) tiny titanium ‘plates’ and ‘screws’. 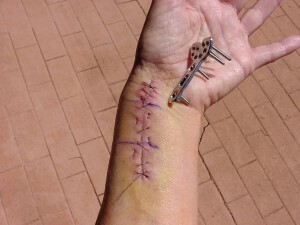 I had two neurosurgeons working on me first, and once I was stable, the orthopaedic surgeon performed his skills on my fractured wrist as a metal plate was inserted to hold the bone together for healing. I am relaying what was told to me much later because I remember nothing and am very grateful for the love and care I received from everyone who helped. 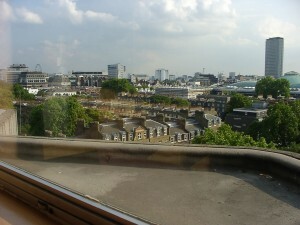 When I awoke in hospital there was noone familiar to me there. Not that I was looking for it but there were no family nor friends there. Only hospital staff who became my family. I am a quantum leaper, a floater, and positive thinker, so saw the only thing that mattered at this moment without ‘thought’. And that was ~ I was simply lying down in ICU in a room with people who were caring for me in the beginning stages of recovery. On some level I was completely gone. Out of my body. It was peaceful wherever I went though. The “form of matter” was the one in pain and only when I awoke in the hospital room did the pain of nine broken ribs make themselves known loud and clear! Of course in short time my father and a few friends visited. Many visited through the internet later on after my release and am grateful. Thank you for caring. 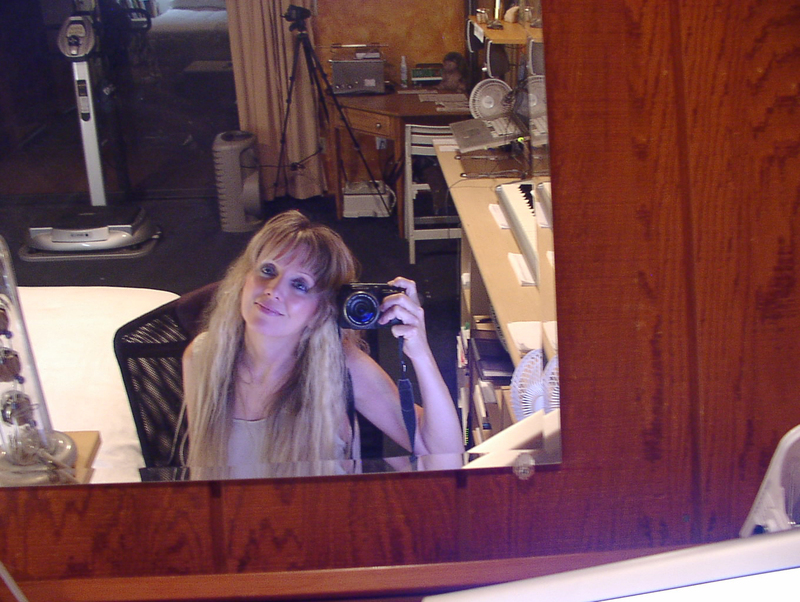 All moving to recovery though for I have too much to do before I really fly …. from here. The healing is ongoing and an interesting ongoing journey this recovery has been. Many things unfolding and all is brilliantly good because there is nothing else but the good to have living within you, as hard and sometimes difficult as it has been too. This Fall was an experience that propelled me further into understandings I have held deep ‘within’, probably since beyond my birth, now blossoming. It is a gift of Life I shall not waste. It is like a closed window now opening. I am ever so grateful. I just found out by my neurologist that my injury was in one of the most dangerous places it could have been in the brain. When he showed me the images it was very revealing. The hematoma (blood buildup) was squishing my brain. If it had pressed my brain just slightly further it would have hit the brain stem, meaning lights out for Pammy. Instantly. The gods were on my side for sure that day. Thank You, I am grateful. Thank you all for being so sharing and caring with me. Especially my father, Carl Richards. It meant and means alot. Thank you to my landlords, The paramedic/firemen, Mark, Joe, David, Josh and Millan from the Sedona Fire Department and the entire medical crew for being there! You are valuable beyond measure. 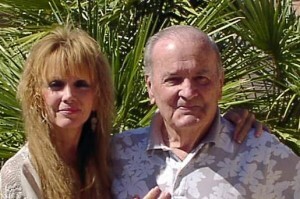 And a big thank you to Patty Marlowe for her support and amazing love in my aftercare at home. Dare to Live every moment, as if it were your last. Dance, not because you want to, but because you have to. Purpose is not to get to a certain place on the floor. It is to enjoy every step along the way. Say what you were ever afraid to say. Listen, when you did not think you ever would. Slow down your breathing before ever speaking. Love the very thing you felt your heart never could. 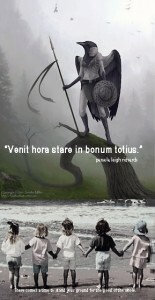 Look where thine eyes feared to seek. Embrace All with forgiveness and understandings. And in the end, merging into New Beginnings. This shall be a mighty fine relief. The incision along the fracture line. Getting the hardware out. All is good because we make it good! Sitting in calm. 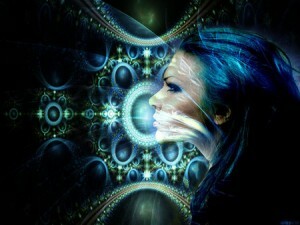 Healing, creating new patterns and re-wiring ‘within’ my brain, for peace. Healing ‘within’ my own little world, my brain that I am so protective of like a child. Venturing beyond into the vast field of energy, into the lands of forever. And the more I discover, the more I share. This film “Ashes & Snow” would be it. Complete Harmony with All and No Fear. Extraordinarily decent, graceful, profound, elegant and deep. A dear friend in Acharya S. Namaste’ and I miss you. To all my friends and family who have been so supportive I would like to share this with you. For those that might not know the story and wish to? I went to the Fire Department yesterday (Tuesday 4-13-10) to meet and thank the crew that helped save my life on the afternoon of January 24th. I found out, by way of my landlords, that they were asking how I was as they did not even know if I survived or not? It really was a happy moment for all of us and I could not thank them enough, I could not hug them enough as they filled me in on everything I had no memory of. These guys do not get enough appreciation or recognition for what they do and this visit helped them to know just how important they are to this community. The gentleman 2nd from the right with the hat (David) deduced what happened that day by walking to the car garage where he found blood on the concrete floor beneath the loft and next to the ladder realizing I must have fallen there. They were so kind and stayed with me until I was whisked away by helicopter to Flagstaff Medical Center for emergency brain surgery. The ambulance we are in front of is the one they took me in to the Sedona Medical Center. Much love to you all and many, many thank you’s for caring. 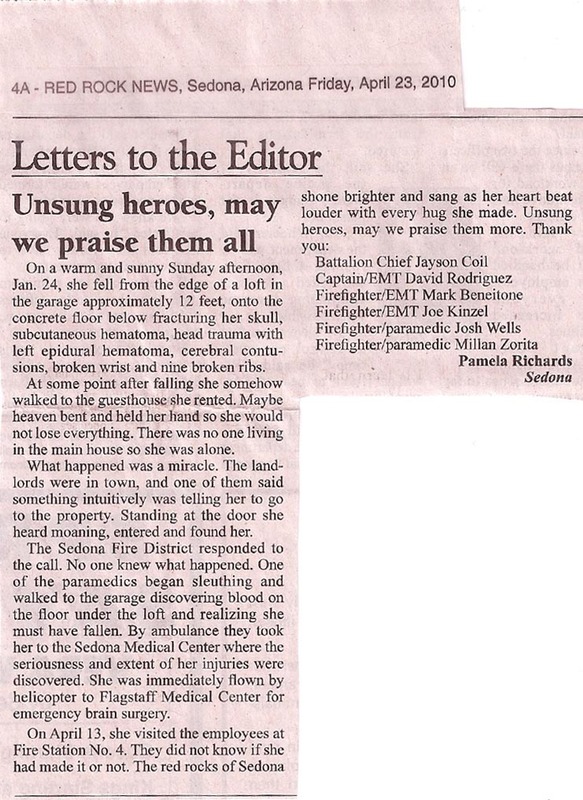 To everyone who is sending in thank-you’s to the Battalion Chief at the Sedona Fire Department. They are receiving emails from around the world in gratitude for helping save the life of one girl. You cannot put a price on this nor can I express what it was like to go through. And incredibly happy to have come out the other side, to be alive, with new perspectives. for they don’t see this sort of attention very often. Thank You to All! Free Your Mind and Remove Fear. The Shift is “Within”. Responses from friends and family. Thank you all for sharing a mystical, painful, yet magical time with me. The importance of what is happening here is being felt within the hearts of many. Please spread it (love) like a quiet wildfire as these kind words ignite plenty. it means a lot to the crews when people take the time to thank them. I just got a chance to read the cards. They were both very sweet, thanks again! Thank you for saving Pamela’s life, this world would not be the same without her. You guys are very special people! which is probably taken for granted by most people. 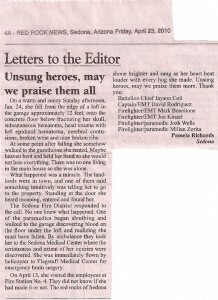 Jim, thank you for your kind words, I will pass them on to the firefighters who helped Pamela. I hadn’t met her until yesterday but I can understand your feeling for her, she was so positive and thankful it was truly infectious! You are all heroes, and the wonderful work you do is very much appreciated! The world is a better place for Pamela’s presence in it – and for yours, too! Thank you for saving Pamela. She is such a dear friend. You are my heroes! 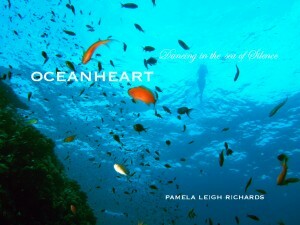 to save our dear friend Pamela Leigh-Richards. She is an amazing soul and it very obviously was not her time to go. The world would be just a little less loving and colourful without her here. So thank you guys. you’re going to be saving or helping or how far-reaching your work is. So a big thank you from a film crew here in the UK who are very happy with what you do. I just want to thank and congratulate you and your team for saving Pamela. you have such a dedicated and capable group in place. My son is an EMT in Maine so I have some understanding of what you face. Thanks and congratulations for a job well done. I want to take this opportunity to offer you my sincere thanks. the predominant factor that saved her life. I have always regarded firemen as very special people, which you certainly are. and my hat is off to all of you for a “Job Well Done”. Thank you for your kind words and taking the time to send this email. I will pass your message on to the crews that helped your daughter. I sincerely believe the paramedics and EMTs that we employ are some of the best. I know your daughter’s visit to the station helped remind them of why they chose this profession. FYI – I was grabbing a bite at Jose’s Cafe a little while ago. Two guys from Sedona Fire and Rescue came in. that this was a small thanks for helping save your life. The guy at the table next to me overheard and it made his day – random act of kindness. None of this would have happened had you flown away. See what happens when you open your heart and share the love within? It is the simplest act of kindness that can spread with great affect. that we all need her to be here with us. I only met Pam because of the help that she freely gave to my daughter four years back -she is the kind of person who spreads magic and truth and I am grateful to you all for all the work that you do. Nothing is more special than being someone who serves and ‘gives’ without any expectation and that makes all of you guys very special too. My daughter and I were also saved by a fire crew some 15 years ago here in the UK. and that we survived. My daughter had her bedroom right above that inferno. There but for the grace of God walk all of us and I pray that He walks with all of you. and a book of scriptures that is now 130 years old. A pair of boots also survived as they were outside the back door. but those bibles didn’t even smell of anything and didn’t have a speck of dust on them. I had about £15,000 worth of other books and they were all destroyed. One of the bibles has a white leather cover and it still has the same with no cleaning whatsoever. and of course a great wife! other than the boots and the bibles. This never bothered me and has never bothered me since. Life is about who we are and not what we have…. Just know that there are always people who do totally appreciate the work that you do. 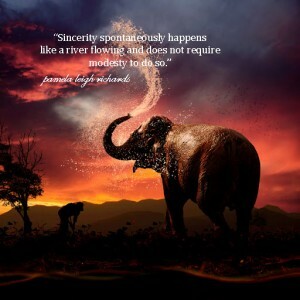 It can easily seem as though no one cares anymore – there are people who do …. Thank you to all of you again. I have received numerous emails in the past few days from Pamela’s friends and family. They were all incredibly kind and touching. the stuff we acquire is when it comes down to what really matters in life. and most of all your incredible firsthand experience. I can tell you I will not forget and I thank you for taking the time to share your story with me. 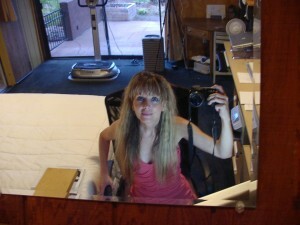 I will pass your email onto the men of Sedona Fire who took care of Pamela. “We read your personal story this morning. It was very emotional and touching. The gratitude, appreciation and love written on this page has been delivered into the flowing vastness of forever. To remain as a gift for others to see, how the little things one can do in life, truly can have great meaning. 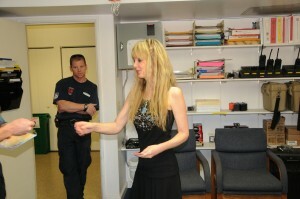 Here I am handing my Thank You cards to the heros who helped save my life. Probably you’ve heard mention of the butterfly effect; the idea that a butterfly’s flapping wings might create tiny changes in a dynamic system which causes a chain of events leading to large-scale phenomena. Had the butterfly not flapped its wings, the trajectory of the system might have been vastly different. What may appear to be the small, everyday choices are the ones that can be earth-changing. We will always be alive no matter what we ‘think’. The journeys and experiences are the necessaries it does so seem. We save the world by going hand in hand. Life is so magnificent and even prophecies can be altered. It can ‘be’ changed as the miracle of YOU happening. “Pam Reynolds Lower (1956 – May 22, 2010), from Atlanta, Georgia, was an American singer-songwriter. In 1991, at the age of 35, she stated that she had a near-death experience (NDE) during a brain operation performed by Robert F. Spetzler at the Barrow Neurological Institute in Phoenix, Arizona. Her experience is one of the most widely documented in near-death studies because of the circumstances under which it happened. Reynolds was under close medical monitoring during the entire operation. During part of the operation she had no brain-wave activity and no blood flowing in her brain, which rendered her clinically dead. She claimed to have made several observations during the procedure which later medical personnel reported to be accurate. This near-death experience claim has been considered by some believers to be evidence of the survival of consciousness after death, and of a life after death. However, critics and skeptics have pointed to prosaic and conventional means as possible explanations. Reynolds died from heart failure, on Saturday May 22, 2010, age 53 at Emory University Hospital, in Atlanta, Georgia. 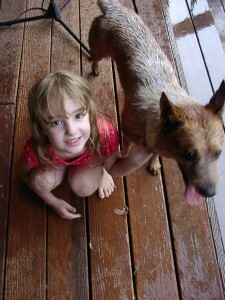 Her memorial service was held on May 28, 2010 at 2PM at H.M. Patterson & Son, Oglethorpe Hill. Reynolds reported that during the operation she heard a sound like a natural ‘D’ that seemed to pull her out of her body and allowed her to “float” above the operating room and watch the doctors perform the operation. Reynolds claims that during this time she felt “more aware than normal” and her vision was more focused and clearer than normal vision. Reynolds says she was able to identify surgical instruments and hear conversations between operating room staff. “We tend to perceive only what’s familiar. they present us with a dilemma. I AM a Brain In-Jury Survivor. Now re-wiring my desires. There is so much more to know and tis’ time to step outside the box and know you CAN! A life lived to inspire. 2017 UPDATE: Even I am puzzled by the journey this ladies life has taken since “OceanHeart”, an autobiographical piece of literature that began in 2008. 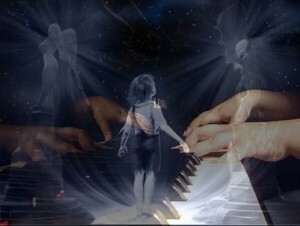 A story of one girls journey with a desire to help open the cages of every songbird longing to sing unafraid to do so. Originally it was to be a co-authored book, however, due to an unexpected life threatening happenstance, it was put on the shelf for awhile. I believe now more than ever, it was all meant to be. That I was not to share my story in a co-authored book, but to share it on my own. There was more for me to know, more for me to experience what life and living was all about, and to share my views later in its right time. I believe that time is unravelling now. There are five books in the line up. I could not do this without all of you, known and unknown. Thank you for inspiring me to never give up. Thank you for riding life out with me, through the highs and lows, the ups and downs, with the greatest comfort being the knowing, we are never alone. I have felt for a long time that I just don’t belong in this world; and will share how I’ve come closer to understanding why this is. Stay tuned. It will be so well worth it. Keep smiling. The raw sample covers for the book I started to write in 2009. It is a “life in progress”. as it is being built and produced. “When you wake up what do you see? “Will the book be written before she dies? Only time will tell. which, set everything back somewhat. All is good and exactly where it should be. Everything is perfect and am very grateful and thankful to still be here today, breathing. a journey in life that we are all on and boy, it is so nice to know we are not alone. “Life is a mental projection. The environment is changing. Enjoy the New Ride, we are flushing out toxins & Cleaning the Universal House. To discover self-realization by going ‘within’ for release. It is time to “Immerse Yourself”. It is time to Elevate. We are on the cusp of the greatest Awakening of our time. It is the Awakening in ‘You’! We have the key. Build What you See. 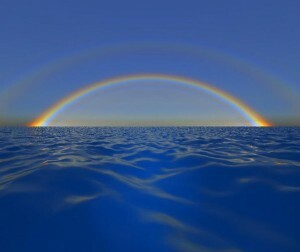 I am now rising to the occassion and coming out of a shell and back into the ocean of life. “You are going to write a book”. It was the last thing I thought would ever happen. I feel it is now going to become a film. 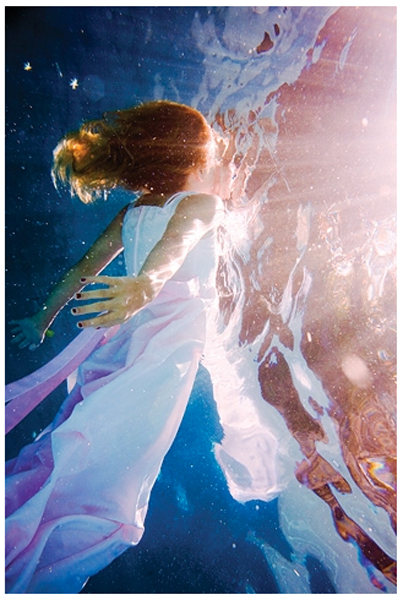 “I Looooooove your book….the pics are beautiful and makes my heart dance! “This is so beautiful and inspiring! Thanks so much for sharing. Lifes experiences do not have to be so extreme to be emotionally moving. We can change lives by showing every side … without fear, in truth-speaking. Come ride the crest of the wave. Love has all the time in the world to get it right. Everyone has an opinion and view on the path. The choices we are making is upon us and we are not alone. Each ONE choice, will lead the ONE, to ONE place. Where that place is? Only ONE will know when they get there. All is good. So much more to know as it unfolds and look forward to sharing. “I am in this world but not of it. Now you see me, now you don’t. The ebb and flow, the yes and no, the yin, the yang, the hang on, the let go. I began writing for a book, then a film, when all took a back seat for a break in time. It has already been written on the pages in between the theatre of our minds. 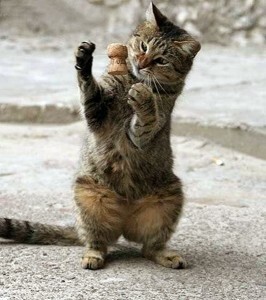 dancing to the only tune left to play. To the tune of Kindness, Respect, Honour, Love, and Grace. 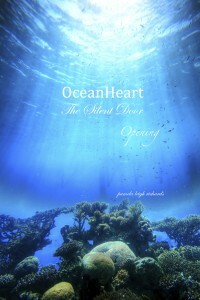 The Book “OceanHeart” sits with humbled patience. There are so many ‘in’sights pouring through. 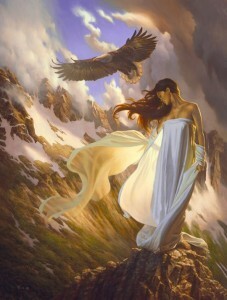 and beautiful magestic visions in understandings being revealed. I have a tale to tell or what I rather like to call ~ a ‘tail’ to ‘wag’ with the world. I don’t buy pretty much anything of what has been taught or being told to us. What matters is right here and NOW. The moment and what I choose to do with it. The center of my universe. The opposite, the yin, the yang, the yo-yo. will be exactly what I am choosing to be happening for both sides. Peace in equality & Balance. Love! And on the other side of spin is Higher Love. NOW in the ever flowing moment fleeting in its passing mind in time. Enjoy your ride. “Stories upon stories, movies upon movies happening all the time in the theatre of your mind. The ones that come alive are the ones you give attention to. I think I was holding it all back for awhile. The song of the spheres. “I see vibrancy. I see coherency. I see balance. I see diversity. the arc disappears from the receiving coil. “History is ‘bound’ to be repeated unless you learn from it. committing to tasks that need to be embarked upon, however unpleasant or awkward. whilst a wise one forgoes comfort and crosses anyway. “Dimidium facti cui coepit habet. 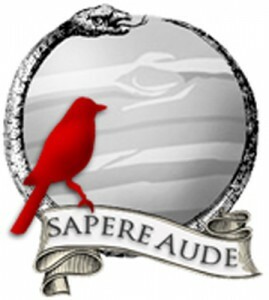 Aude id scire.” (He who has begun is half done: dare to know!). 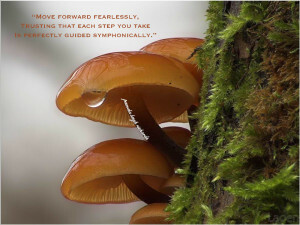 *peace is essential for one to move safely forward. 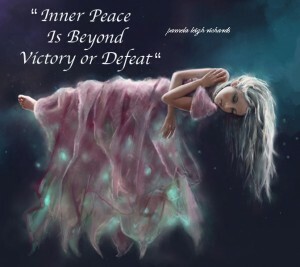 *peace is fundamental to build dreams in the present to move progressively towards the future. *and peace is necessary to forgive mistakes of the past, during the present, to move gracefully towards the future. “We are so like children without a clue, yet, at the same time have solved the puzzle. “TAKE THE WALK. It is always okay. If you do something you will experience Life in its many facets. I have learned I am not here to repeat it. It is time to begin ANEW. You cannot change the system using the same mindset that created it. 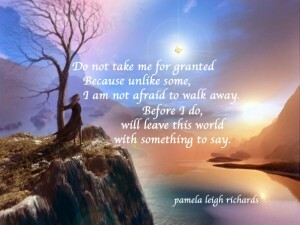 Quotes: Pamela Leigh Richards unless otherwise stated. Peace on the Path is all she desires, unafraid to knock a few pebbles out of the way. 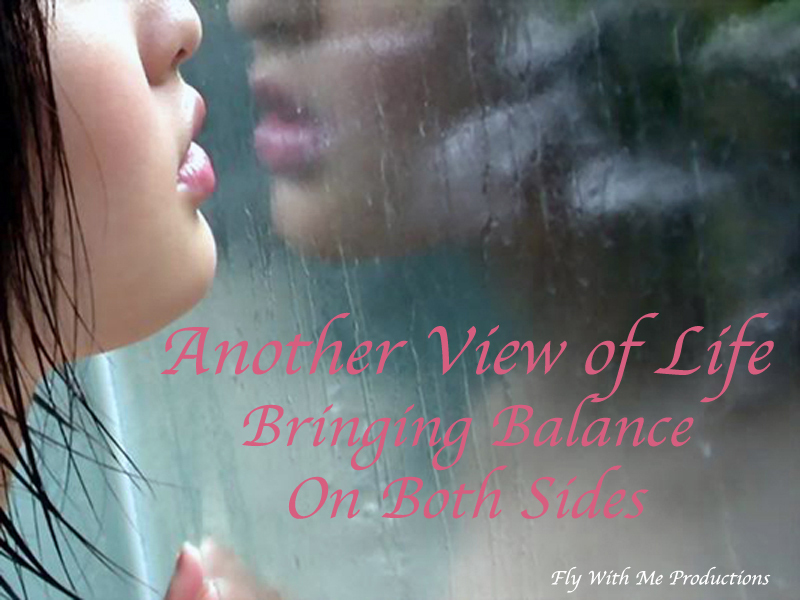 Breaking old patterns, cycles of behaviour, and to help bring balance. All the ladies and gentlemen, you know who you are. Survivors of TBI (traumatic brain injury). All the Vets. Welcome hOMe. Anyone who is, or has been bully’d or abused in any way. when she was crawling for solid ground. Your friendships have meant the world ~ Let’s go make it a better ONE! 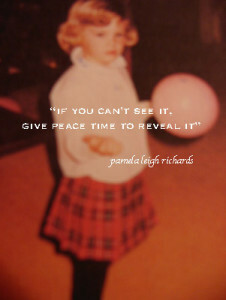 Exploring the views of Pamela Leigh Richards on her life with David Icke. 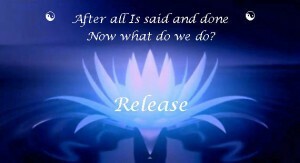 Clearing what needed to be released for the good of the whole respectfully. “It takes courage to live life.” Cor from Latin = Heart. Tell your story with your whole Heart. The Universe detests deception. So do I. Truth is meaningless in the absence of understanding. Truth does not step aside from ferreting out falsehood from reality. Truth changes the minds of people who see it, that is how powerful it is. Breaking Silence is of utmost importance in exposing that which wishes to be hidden. With dauntless knowing that no matter what or who it is, take action to do the right thing. The Golden Mean of coherency is singing for clarity. What rests behind this story and how it is going to be healed has great purpose, I know. It is a pathway shifting our resonance and vibration from one of confusion to one of crystal clarity and noone is alone. 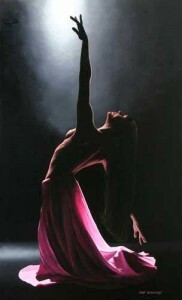 This is an artistic journey, a gallant dance unafraid to speak as she got past her vulnerabilities and sharing. 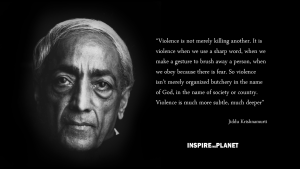 It is about not taking abuse and living fearlessly. 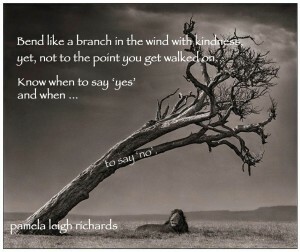 It is about daring to love, knowing when to let go, when to say yes, and when to say no. What I find most interesting is how David Icke, a man who speaks of wanting to bring people together, asking them to stand up and speak their truth, yet, cannot come to the table and speak with a lady he once loved greatly? What sits at the core of the root issue here? What left him in his consciousness to create a microcosmic war upon one girl, and even more bewildering is why he took this private affair to the world? Stay tuned for truth will be revealing. For those who have been taking this walk with me I am grateful for your awareness to see there is more to know. The story is already happening in its beautiful unfolding. For those who do not know what this is about here is a short brief. I am dealing with a personal matter in what should have been an amicable, simple, and fair departure between two people. What was private, our divorce, was taken to the world public by my former husband, well known British author David Icke, who used his position to vent on a global scale using different media outlets, a very one-sided view to the public, projecting manufactured propaganda in an attempt to discredit his wife’s character. Why did he do this; I asked myself? Why did he open the door of our personal life to the world? A man who says he values his privacy? It is all becoming self-evident. What is actually happening is an inability to let go within him’self’ and I have become the lightning rod with no justification for the attack other than spite with malice. No more. You could not make it up, but made up it is, and this lady will make sure this experience is shared with both sides seen fair and square leaving a trail of balance in understanding upon an unsuspecting public mind. Phew! David dropped a pebble in the pond leaving a ripple effect. 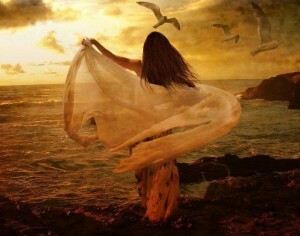 She will do her best to bring calm to these waters ruffled leaving nothing but truth and love in her wake. After all this time nothing has changed. When you are in a position of power it becomes a position abused when it is used to control, hurt, and/or harm others. It appears he has chosen to stoop to levels of extreme irrational behaviour, operating out of malice with intent to hurt, and in my view abusing his position, while leading others to do the same. Most important is the threat to myself and father that I do not take lightly. The title of one of his books was “I am me, I am free.”, showing him naked on the cover. He could not be farther from being free internally, in my humbled opinion. The raw and naked truth of the evidential facts behind this story and the intimate details will soon be revealed to heal a wound crying for closure. A poem I wrote just before I left for Egypt for rest and recovery. I now read it with compassion and empathy for the girl who endured. I know in sharing our stories we will help many towards peaceful outcomes. As I continue to pick the pieces of myself up off the floor. And if there really is such a thing called ‘life’? For I am balancing on the wire. Will come back and find me once again. As a bird flies, so will I. Just as David is asking people to make a stand for justice, what is happening here between two people is the same. Injustice for one is injustice for all. There is great fear, anger and rage that sits within him with no discourse while trying to still control. 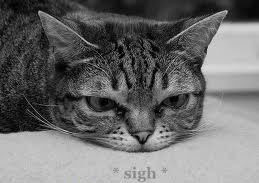 There is simply blame discharging discomfort and I have become the patsy. Shocking it has been at the twist of knowing someone who then becomes something other. David and Co are behaving no less than riot police beating upon a girl who simply stands for truth, fairness, understanding, and peace. In his own words says ” I want truth [except his former Wifes truth], I am not here to win a popularity contest” and “a vibrational change would bring to the surface all that has been hidden”. This is one lady whose vibration has changed and will bring to the surface what David is trying to hide. This is not about continuing a battle, it is about ending one that never should have begun. Below is an excerpt from one of many emails David sent to my 83 year old father during the divorce that spanned from October 2009 to its ending 31 August 2012. David was asked to stop harrassing my father. What does he do? Emails over and over again causing great distress to where my father eventually had a mild stroke. And on the day we did not know if my father was alive or not? He sent another email on that very morning! Incredible. It is my opinion that David is demonstrating classic NPD (Narcissistic Personality Disorder) with anger and controlling issues. 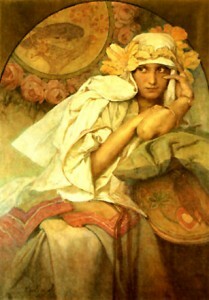 I have learned through this experience that no matter how much one tries to help another – if the other chooses to remain in their state of defending their fears, if they choose to close the door upon anything you have to say, one must walk away and not succumb to the drowning effect, nor carry the burdens of anchored weight going nowhere. He has gone over the edge to deliver such vicious, sick minded, and vindictive threatening words. A very Saturnus sounding thought to project. This is no different than dropping a bomb or pulling a trigger. Verbal abuse and threatening words pass through the heart ripping it apart. And what it did to my father? Phew! Unbelievable. I lived with this for years and even now he shows no mercy. What fear and angers must live ‘within’ him that still rage on. Sad, very sad. Thank you Dad for believing in your daughter. April 30, 2017 my father died. The sign posts along the way show me the one constant in Life. It is ever changing and fleeting. I only found out about his venting publicly because someone sent this. An article by Regina Meredith from Conscious Media Network, who is supporting Icke. Everything in this article is a censoring and disfiguring of the truth while perpetrating a sick propaganda. It is an attempt to try and make Pamela fit into some warped sense of a plan that she will not fit into. ~ Martin Luther King 1967. Years ago I said to David “You have me in a box in your mind and I will not stay there”. These words all too true to this very day. This article came out ten months after my Near Fatal Accident sent by someone asking me if it was true? I would never have known because I did not go to Ickeland and was healing. Of course it is not true. By releasing this they created a stir in the public mind causing a reaction where I received vicious and frightening messages from Ickes followers. They do not even know me. 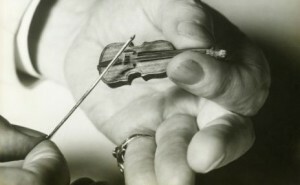 He talks about a sympathy for abused children? By doing this he and Regina opened the door for a possible attack upon my life. What Icke and Co. did is no different than inciting one race or country off against another. It does appear David is not interested in peace, he wants control. Interesting that the comments on this Article’s blog were removed within 48 hours after I finally posted a comment with some facts exposing the truth about their propaganda.This is a man who claims to want to save the world (selectively), and Regina Meredith’s own websites motto is “Question Everything”. Except Pamela. So much for alternative media doing a truthful job. David emailed saying; “I know you know Hilary Clinton.” What? Sigh. Patience pamela, patience. What did David and Regina gain by coming out with this? Who sold their soul? What was his purpose? Why did he go public venting his personal views about a private affair bringing others in to something that was not their business, surely one would ask? It only caused trouble and division among people. This has been extraordinary really. Throwing molatave cocktails (propaganda) into the public arena and running while I was wounded on the playing field trying to come up for air. Unfair, unequal, and very sad indeed. More importantly it is extremely childish. What is this showing the children of today? It is showing them what chance do they have if this is what becoming conscious beings is like. And these two call themselves journalists for truth? Time to bring in the scales of justice and weigh the heart with the feather. I lived with Regina & Scott Meredith in 2005 for four months while going to film school in Arizona when I left David once before. It was a nine month course at the Zaki Gordon Institute for Independent Film Making. After three months, the first semester, David begged me to come back to England saying in email “Come home it hurts too much”. I asked him to hold out for six more months, that we could do this and then I would come home with a thesis film under my belt. He could not wait that long so I gave it up and moved back home to England supporting him and his work. What happened in between the lines is beyond anything most could imagine. It is all going to come to the surface for lies can no longer hide. Seems that if Pamela comes out to speak, this is the low level David & Co will stoop attempting to control vs being an exemplary example showing how to part ways in a marriage fair and square. Do as I say not as I do seems to be his legacy. He could come to the table and make peace like any rational human but chooses to live out his own fears and dramas turning something that could be resolved so easily into a battle. I repeat as I said to David before; “You have me in a box in your mind and I will not stay there.” I’m just taking a walk observing & watching true colours unfold. On a radio show in 2011 Icke says: “Someone once said … you eventually walk into every stone that you throw. Problem is that when some people do they still blame everyone else for it and then throw some more.” Sums it up. Another TRUTH please. David continued to seek outside himself and was being fed psychic thoughts by Carol Clarke, his now highly promoted guru. This is an email exchange between he and Carol during a very tumultuous time. Phew! I can see ever so clearly now. You don’t know what you are in until you get out. There was a deliberate attempt to get rid of Pamela by the family during the latter part of our relationship. Nothing was safe anymore. They had a nickname for her, “The Wrecking Crew”. I only found out after I left for Egypt for rest and recovery. In retrospect it was all about fear, ego, the business, and money. Something had to give in this relationship. David made his choice and so did I.
I am forced to live two lives every day when I am in England, hiding Pamela away so no-one gets upset by her very presence. It is sickening and horrible to go through this two lives ritual day after day after day and the real reason behind her going back to America last year  if the truth be told was to give me respite from this daily stress generated by my own family. By last summer the parnanoia had reached extraordinary proportions and I needed a break before I keeled over. You have no idea. When you or mum have relationships I respect the people involved and treat them with respect in your presence, but there are different rules for me it seems. The paranoia has reached insane levels now with paranoia feeding even greater paranoia. For me to be parked on the side of the road being told of some conspiracy about Pamela and domain ownership [This was with respect to building a website for davids products, working with distributors, worldpay, the xcart et cetera getting davidickebooks a market place, which, I started, before turning it over to Kerry] when the only reason they were in her name was because it allowed her to deal with the admin etc., instead of me – as I wanted – was just crazy. [Correct] The idea that she is somehow a danger to Erin [Kerry’s daughter] just blows me away. You must do whatever you choose, but would you please back off because I am sick of it, sick of the comments and the constant innuendo about the ‘wrecking crew’ – the code name for Pamela. She has had so many opportunities to wreck and has taken none of them. She has had the opportunity to exploit me financially and has twice walked away with little … In case it has escaped everyone’s notice, it was Pamela, not me, who secured first a $10,000 gift for the legal fund, followed by a $120,000 grant to my work that will go to the business. [Along with another $100,000 personal check] As Pamela is not in any way connected to the business [although I was and gave eleven years of my life to it] it will not benefit her, but those who she knows hate her. How many are big enough to do that? She is not perfect, but then neither is anyone else, but she is misunderstood on a monumental scale and the hurt she feels at the way you treat her and look at her only she knows, but I tell you now she has cried herself to sleep many times because of it. It’s bloody disgraceful. Anyway, it is about time this was said. Yes, it is about time this was said. So much going on behind Pamela’s back? Sad that David changed sides, fell for their fears, and fell in his own misunderstanding of who I am by attacking just as his family did in their deliberate attempt to get rid of this lady behind the scenes. Never allow another clothe you with their dishonor. Fear Destroys Love. Another Poem I wrote during the tumultuous time before leaving for Egypt for rest and recovery. The love that brings people together should never part on their leaving even as they fly away. It should only grow like a Lotus flower blossoming ‘within’. It is called becoming more conscious and not staying stuck. If another can’t find this love themselves it does not mean you have to carry their burden. Simply thank the experience knowing the only thing that matters is what one chooses to do with it. David has said for years to his audiences about how people try to shove things down not wanting to look at themselves. Don’t want to know. Well, he should really take heed of his own words. This lady is not a rag doll anymore to be tossed about because he could not make up his mind and I have gained strength to speak up when once lost, now found. If showing your openness is a sacrifice? Then sacrifice me, for I have nothing to hide nor fear, and everything to face. “… but I feel so much for what she is going through and I am so tempted to say ‘Hey, come back, let me make it better for you.’ Also I do have a deep connection to her and I really wish it could work. “Funnily enough, I care about my family also. As for negative comments – the comments from members of my family about Pamela and my private life that have come back to me from others would fill a book over the last few years. And now David is doing the exact same thing. Attacking the lady he once loved. Publicly. Crucifying is putting it mildly from behind the scenes. David is not telling his public the whole truth. This experience has been very revealing indeed. 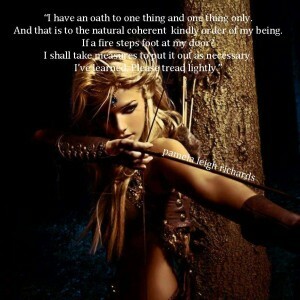 An oath to scoundrels is meaningless. 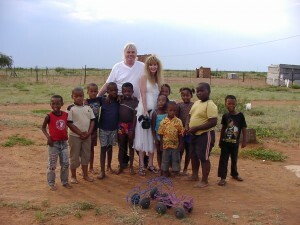 Pamela and David at Credo’s home in Kuruman, South Africa with the children. This lass has a divine right to protect her life and environment. Life is an art. Facing one reality while holding a higher vision of another simultaneously. It takes a special kind of person to make a mistake, admit to it, and face whatever comes in making amends. It takes a humbled moment to recognize, a moment to acknowledge, forgive, and a strength of Heart to stand up, reveal it, and let go. Serving some truth on the table with compassionate purpose. STATEMENT From an outside experiencer, I thank you. From a witness behind the scenes validating what I was going through. And there are more behind the scenes who have come forward. Whistleblowers I think you call them? who ‘think’ they are freeing you. Until they are free within, their words will only keep you in the prism/prison reflecting. There is so much more I see and with all the love in my Heart will share what I know. It is not easy for I could fly right now. Follow your Heart always. Breathe in Peace. Take your troubled walks knowing your steps have great purpose for the good of the whole. Which wolf will one feed? The lovely parable with beautiful meaning. How long will it take to become unconscious? To let go of the past and live for today? This applies to me and all too, as I erase the tapes. What really hurt was when we went to court and David actually said in his statement “Ms Richards had nothing to do with my books … nor contributed anything…” When I saw this at the time, a shock wave went through my body. I was witnessing someone I thought I knew become something very different. I have strength now to let it fall away and maintain my own pace in space. I wish to share more of an event that happened over a course of time between a very public figure and his former wife who will not go quietly. The facts will speak loudly. I’m just now gaining the full spectrum and scope of the situation. I had to fly to England for a 2-Day trial. Represented myself (TBI! ), a friend from the Isle of Wight kindly assisting (who is a survivor of TBI), against a Barrister, Solicitor, David Icke, and four witnesses. All the delaying, stalling, breaching, brought us to this point. He had time to prepare, 4 sets of bundles (over 900 pages), sending the final financial documents as I was leaving for the airport. My father gave me the money for the plane ticket. I barely had time to breathe. It was shocking to actually see these people, who were once my extended family, doing this. David could not look at me. I said ‘hello David’. The contradictions in his affidavit were fraught with manufactured lies. It took me aback. 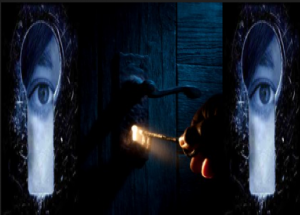 And appears the wording and phrasings were in line with his fear, the lies being fed to him by family and psychic to carry out the deliberate attempt to get rid of ‘Pamela’, and his threat upon myself, my 84 year old father and the family name. I call it the “Pamela Conspiracy”. The phrasings were also embellished to paint a picture that was wholly untrue. Purely coming from an attacking position vs. one that could have been a very calm, peaceful, amicable position. David keeps seeking outside and cannot reason. Throws words around without validation and runs. So, why can he not come to the table and talk? Where is his Bridge of Love? Where is Mr. Infinite Love? I’m one girl? If he and the family cannot make peace with her, what in the world is he sharing with the world? Strange indeed. He sees me as he believes me to be, not as “I am”. One step removed. Excerpt from Davids statement to Court. INTERESTING? David also says in this excerpted quote below, which, contradicts the above. Now remember, Mike Lambert, health professional on the Isle of Wight, I can only assume this is who he is talking about, is an ally with David. And David went around asking people to go against Pamela? Seems the ability to allow change to happen within a being (Pamela) was not capable of nourishment by others for the environment she lived in was corrupted. I have evidence in audio and email. The REAL STORY is being revealed unafraid to speak. The REAL reason I left for Egypt for rest and recovery. To gain enough strength simply to come home and pack. It is what it is for all to see/sea. Nothing can kill me, not even my free mind singing. Not even David Icke standing before me, if he can bear to look into thine eyes. He can’t because he is lying too. Mostly to him’self’. No matter how much they can throw at me, I will always hold onto the beauty’s in life. The daggers and lies simply pass me by. And after the hurt is gone, love never leaves. THE DOUBLE LEGAL CHALLENGE – A newsletter put out by David on 13 September 2011. “While David embarks in his 60th year on the most gruelling speaking tour of his life on the back of spending the entire summer locked away 15 hours a day writing a new book, he is also having to deal with two legal cases, which together, could make it very difficult for him to continue on anything like the scale that he is now achieving, never mind massively expanding his work as he is planning to do. This comes at precisely the time when he is making such fantastic strides in awakening the world to so many revelations with the promise of so much more to come. This makes the case potentially of far greater significance with regard to David’s 21 years of work and where it goes from here. David cannot reveal the name of the person involved in this case at this time [Why not, he names everyone else?]. 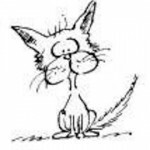 People, however, are going to be taken aback – indeed shocked – when they eventually know. But that is for another day. The other legal case is the extraordinary ‘libel’ action brought against David by Canada’s Richard Warman who has a policy of what he calls ‘maximum disruption’ – setting out to cause maximum disruption to the lives of those that he targets. The case began in 2002 – yes, 2002 – and it has been continuing ever since with a final trial date in the process of being decided. The legal bill for preparation and trial has been estimated at a high six-digit figure. If you cannot easily afford to contribute to David’s double-legal defence fund then please don’t. These are harsh economic times. But if you easily can and you wish to help David meet these challenges, then please click on the link below. Nothing is too little. In this ladies view I feel David has abused his position in this instance. Asking for funding from the public using words to entice an idea of TWO legal challenges? One was our personal divorce. The public never needed to be involved. Pamela was recovering from a near death experience involving a TBI (traumatic brain injury), whilst going through what should have been an amicable divorce. I thought I was dealing with a conscious man. 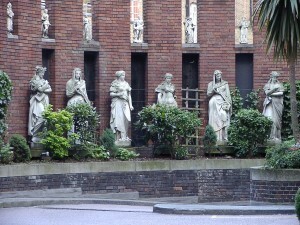 The first set of Solicitors actually said: “David is a very angry and bitter man”. As each month passed, what I was witnessing unfold was beyond shocking. Listen to the Radio Shows please to understand. Or at least understand as much as could have been shared in short time. There is so much more, but there was not enough time even in five radio shows equalling 10 hours. The reason she sold a story to the Daily Mail? It got to the point of ‘no return’, Period. We all know that the media hypes and twists truth for sensationalism. That’s what they do, so, let’s carry on. 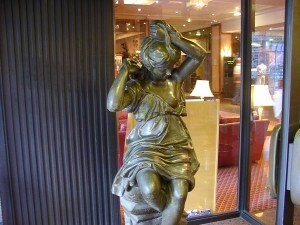 Pamela received some money to pay for the next Barrister in her divorce. Icke knew she was out of ammo (money), yet, kept firing the bullets. Okay. Fair game. Let’s play. So she did all the way. Feels very much like: “If he can’t have me he’ll kill me?” His threat to my father and I was not taken lightly. Dignitas, or proper fitting of acceptance towards an equalibrium in equalstanding can only be met, when all parties feel the agreement. AN ‘EXCERPT FROM ONE WHO ‘sees’. This is an excerpt of an email reply to David. The quotes are David. My reply is italicized and bold. CAN YOU JUST ‘FEEL’ WHAT IT MIGHT BE LIKE TO BE HIT WITH THIS? So you are admitting to living in a world of gossip over truth. It is by the way, impossible for a wife to “exploit” a proper husbands name. Your suspicions about my exploitation are really admissions of your own withholdings. When I read this? I knew something had happened. You got caught David. This is insane. You look me in the eye and say this. And don’t flatter yourself. It is the replication of ideas through the memes of imitation that exclusively support you. Take a look around and you will see I mimic much less than others. Your insensitivity has no limits. Let me ask you something. If it is MY website, who else’s would it be about other than me? Isn’t that the point of a website? 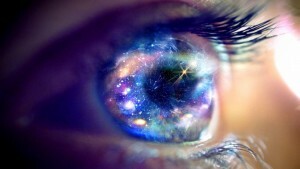 And yet, if you truly ‘look’ you will see that my focus is trying to help others and share what I see. My life is just as valuable as yours David. Instead of embracing me you cut me down. It is like a preacher preaching to the congregaton yet, comes home and beats the hell out of his wife. How can you say something like this? Too incoherent to respond to. Too incoherent to respond to. This is so unhealthy to me for you to mix in stories like this, and then aggrandize to the point of deleting every happy memory between us, and then not acknowledging even a tiny bit of your share in causing the lost potentials for love along side of me, and then calling it a joke? All relationships have arguments and people grow from them. I have always tried to learn from my mistakes. Look at some of your words here. They are unhelpful words. They heap abuse which does not help either one of us. One day, maybe, if you can evolve, you will realize this is about your selfishness and not my usury. Are you the only star David? We all are stars. We are all entitled to shine and why that bothers you is a commentary about you not me. You could choose to hold onto some of the good memories, but this is an admission that you are too weak and dark to do so. I am unwilling to play the role of your dark nemisis. This is unhealthy. These words are beyond reprehensible considering who the writer is and who the recipient is. It requires no further commentary as they are exact perfect mirrors to the unseen shadow of its originator. The pride is huge, the self-conceit is apparent, and the words themselves are descriptive of the accuser. The persona which consumes you has obliterated your true self — certainly by these words. That which you speak of is so far out of integrity by the very fruit of these words and actions. This is a repeating ‘thought’ and ‘push’ for a battle that seems as if you are desiring me to destroy you? I repeat, I am unwilling to play a villian for you, I am a responsible human being. You have escalated our marital, business, and personal lives to a point where there is no common sense or fair mutual input for resolve. EXCERPTS BELOW FROM ONE OF HIS NEWSLETTERS TO SUBSCRIBERS. Yes. You choose to hold in your mind a “belief” of me vs. who I am. “The key is to let information be the arbiter of what you say … and not pre-conceived idea. Yes. You see me as you believe me to be or “want me to be”, not who I am. Choosing to decode false beliefs about Pamela has become your total focus and awareness of who you ‘think’ she is. Causing severe damage to the relationship. “One girls journey arrived at the cross roads of choice. Never be afraid to tell your story. 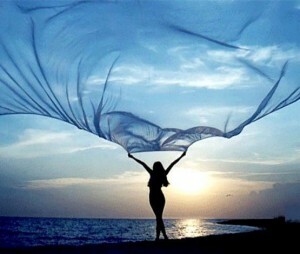 When all is said and done, she lived life on her own terms unafraid. It is not what happens to us in life, it is what we choose to do with the experience. “I have experienced death in many ways. My brother, my mother, relationships, and on and on it comes and goes. Hello from beyond. Know this please. Life is a personal journey. There are no guilt trips left behind, so please do not carry them. Easier said than done I know. So what did living teach? What was the greatest gift living gave after living has gone? Enjoy. Be’live’ who you ARE. Right now. 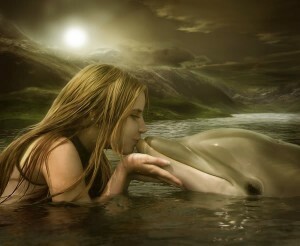 This is not about a love between two people, it is about a love for all of life. This is merely a taste of how to live and how to fly. I choose to see what good came of it all. Not dwell on what did not. Pamela’s job over the last five years has been trying to get an amicable divorce. Another thing I wish to point out is how David continues to say: ” … and stop undermining those who are trying to do something about it.” This lady’s life has been undermined for years by David and Co. She had to ‘get out’ in order to ‘find out’. Thank you. Pamela had to gain strength and put on her Samurai Suit. I am not here to change your mind, I only ask that you behave justly. If this is where I share more of this story then I shall do so upon upon a gentle journey. David and I were fine even though parting. We spoke, it was good. Pamela was watching it all unfold along the way. For all. In the beginning of DavidIcke.com (website) he had a Headlines page. December of 2008 (10 months after I left our marital home) whilst chatting with him by phone, he says; “Go and look at the Headline Page”. Below is what he posted. 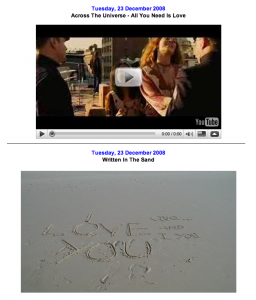 A picture of our writings upon the sand in Australia. Like I say, a once upon a time love that slipped away and died. I rest in a very calm inner place. In the beginning stages David used to say “why do we have to say I love you all the time’?” There was much confusion for me. Bridge of Love Publications was not matching the people behind it. I was told to stop hugging so much when I first arrived. It is all okay either way for Pamela has flown away trying. Thank You to everyone who took the walk with moi. The whole point of this was to bring in a balance of calming fairness to a very unbalanced equation in the playground we all share. It must be safe for all. We did it. Together. And tis’ now time to sail, throwing away the unnecessary. To release and let go. The story remains for all to see on their individual journeys, with a desire to help lift them when they might have fallen too. If I can get back UP? So can you. Oh, I forgot to say that this was also very much about Pamela dissolving boundaries of fear and insecurities. Thinking she wasn’t good enough has held her back on many things. Not this time. She simply took life head on and did what she felt to be right. This really could have been a softback/hardback book. Pammy just did not have the strength to do it. 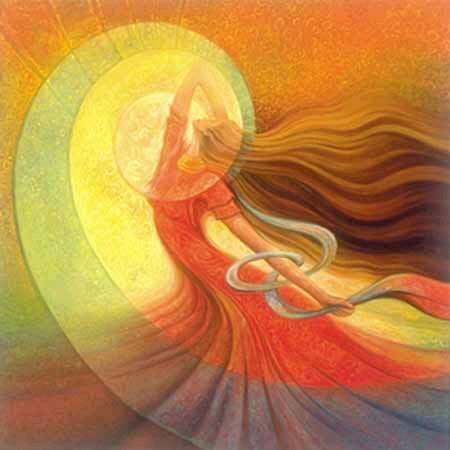 Her world is becoming very clear now, strength has been gained and continues to grow. Safe & calm waters are here with moi. This lass endured something that still surprises her. The most important thing was she had to ‘get out’ in order to ‘find out’ ~ this has many ‘Zen’ meanings which, she shall go into in her books. The “Pamela Conspiracy” is a separate digital book on this page. So, so much more, however, it has been unleashed and released. His story and hers sort of merged for awhile. Tis’ time to move on with hers. How she sees life and creation based upon her own experiences. She came across her diaries this morning while writing her other book and felt to add to this page, as it is here where it belongs. On her way she is now …. flying. Thank you all so very much for sharing the walk. Pamela’s home environment felt as if she was being hit by thought forms, fear was in a rage all around, and she had to get out NOW. 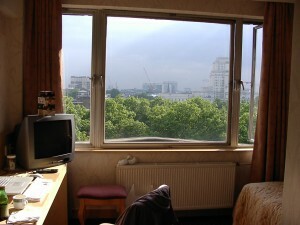 So much so that she left on 1 June staying in a London hotel until catching her flight on 6 June. When she walked out of her home, it was like a prisoner walking into a breath of fresh air for the first time. Below is a snippet of the amazing journey from “Home to London to Egypt”, and what she wrote in reply to a helpful friend. “Thank you for reminding me … that it is ok to be ‘me’. I am expanding exponentially and so much happening. I have been bruised and battered beyond belief and my energy field shattered to pieces and am still picking up the pieces. This journey though has been so beautiful however, underlying it, an enormous amount of pain, but not as much as it would have been without my deeper understanding. I am perfectly fine. Something is carrying me through this right now. It is ok. 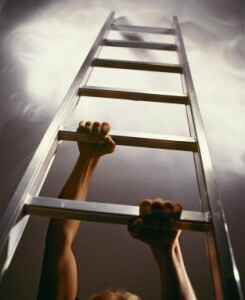 I am rising above all of it quickly. I will not have it anymore. I saw this black man walking out of Vernon House from my living room window with his grey rollaway duffle bag. It caught my attention and thought? He was going somewhere. Then went back to what I was doing. Now get this? As I got to the top of the pier to catch the Kat to the mainland … I bought my ticket, walked out and my eyes were drawn to this black man sitting, waiting for the boat. I then looked down and it was this grey duffle bag I just saw earlier out my window! Something was drawing me to him. So, I walked over and said, “Do you live in Vernon House?” He said ‘yes’. I sat down with him and I can’t tell you the energy flowing around me. It was incredible. He is from Gambia. I started talking and did not stop until we parted on the mainland. He was mesmerized the whole way. I could see it in his eyes and I don’t know where all this information was coming from really. It just started pouring out of me. He helped me with my luggage for I had two big cases and two shoulder bags with my camera equipment. We got on the boat and sat together. I continued to talk non-stop. He listened very intently. He helped me off the boat, we reached the train area, and I had to leave him now for I had a car waiting to take me to this hotel that I am now at in London. I hugged him and could see in his eyes how blown away he was by what he just heard. During the time I was talking, many times, he would ‘get it’ and say the same thing as I was just about to say, which, amazed me too. Our words linked up. It was so beautiful and very powerful. Now, here I leave him and am walking down the ramp struggling with my two rollaway bags and my shoulder bags. A couple were smiling coming up from behind and said to me: “That will make you stronger”. We all laughed because it was funny, but for me, what was more funny were the little messages that life was giving me like “it will make you stronger”. It hit me and definately what is happening right now? Is making this lass so much stronger. It was such a beautiful journey with a deep connection to people all around. It was just lovely. I was smiling and happy and so full of love. Arriving on the mainland I got to the car park, and the driver (Ian) came to help me, and away we went. Now, I normally would go to sleep on this two hour journey to London, but again, something happened within me and it just started flowing out. I did not stop talking with Ian the whole way. It was so profound that I noticed during the drive, as I was speaking at one point, it got very powerful in what I was saying about caring for one another and letting others know they are not alone etc… Ian was moved to tears… he wiped his eyes, for I know I was connecting to things that were hitting home for him too. It was so incredibly beautiful. There is something happening and I can feel this energy connection that is like a download of information which is allowing me to speak very coherently and make perfect sense at these opportune times? I was so moved that something I could ‘say’ to another, touched them so much that it would make them cry? He actually said, that I was denying people what I had to say? It blew me away. He was telling me that I needed to go out and talk to people. To share with them just what I shared with him, and it would be a shame to deny the people of this information. Messages are coming at great speed if that makes sense? I am being downloaded with a lot and rapidly, that I have to have time to process it. Maybe that is why I am going to be alone for two weeks? I need it. The travel agent told me, when I left on Friday, that “Ruth” the lady who is in charge of the dolphin trips out in the ocean? Told her to tell me, there were two families with children at the same place I will be at and they went out on Thursday (the day before I left my house on Friday the 1st of June which was also a Full Moon!) and they all got to swim in the wild with 300 dolphins! It was a rarity! 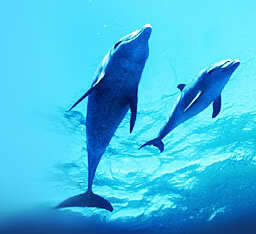 I just said to myself in my mind: “Please dolphins, be there for me to swim with you freely! This is all happening for a reason. I know it. “You have things to fullfill within yourself. This is a very personal journey. The seeking we each strive for will never be found in the external. For what is eternal, what has always been ‘in’ternal, can never be lost, only found. A personal journey? Yes, indeed it is. We are all here to do ~ what we are all here to do. Playing our roles and living lives. Peace. 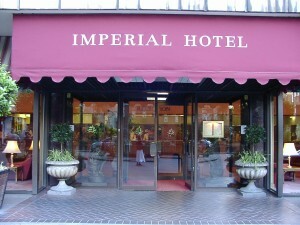 Pictures of Imperial Hotel in London. The Goddess that greeted her as she entered on the left. 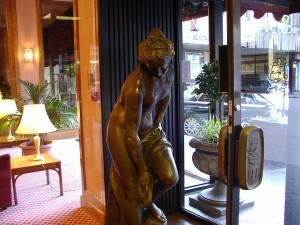 The Goddess that greeted her as she entered on the right. She originally was given another room. She kindly asked for something higher with a view? This is on the ninth floor and fit her like a glove. Perfect. Never be afraid to ask. You never know how good something can turn out to be. The beginning began. She can now breath freely in peace. 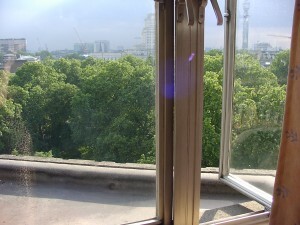 View from the ledge into the place in between the space. When you have nothing to hide, never be afraid to tell it like it is. In doing so erasure of the issue becomes much easier and so freeing! Through the fires she climbed! THIS STORY ALSO ON FIVE RADIO SHOWS HERE. Thank you for listening to one girls truth. Peace. 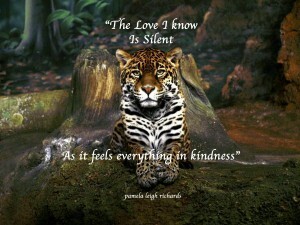 All quotes: copyright Pamela Leigh Richards unless otherwise stated. Images: Top – Pamela on surface of Red Sea, Egypt, snorkelling with Dolphin going by.